PE Creative: What the 70's is going on? What the 70's is going on? Can you guess who this is....No...? 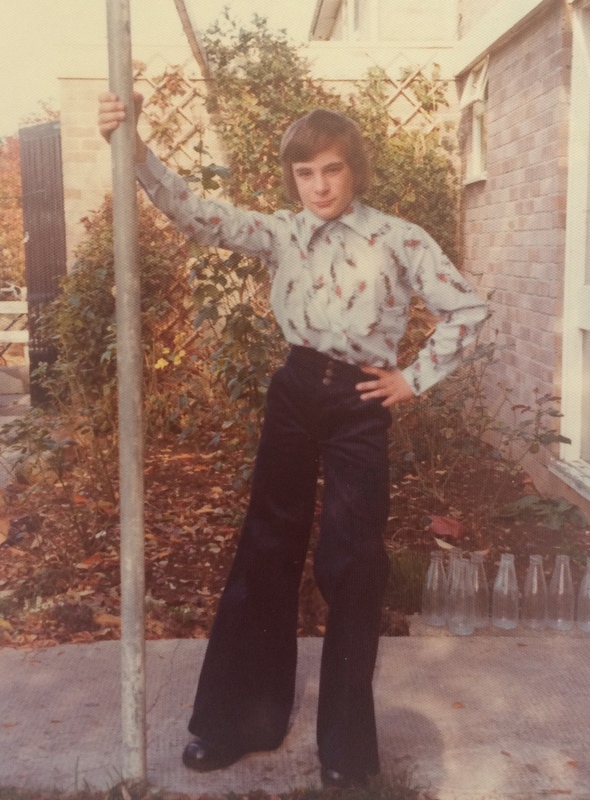 Well its actually Jonny in 1975 sporting his new Spencer corduroy flares, 'Slim Jim' pattern shirt and TUF platform shoes... This retro image is a genuine picture taken in Somerset. You can see that I have always had a flair (sic) for fashion...even if it does look somewhat naff retrospectively...(actually I think I look pretty cool- just look at the 70s style milk bottles!). Maybe I should get all my team to bring in retro pictures to share - yes!! If you want to see what I am wearing today give me a call and I'll come over and show you and at the same time we can talk about all the lovely design work I can help you with...go on you know you want to...01332 291141.